A round-up of art and antiques news from the previous seven days, including news of the latest series of Modern British art auctions in London which was led by an LS Lowry painting. LS Lowry’s 'A Northern Race Meeting' was sold for £4.5m at Christie’s. The latest series of Modern British art auctions in London were led by an LS Lowry (1887- 1976) painting depicting a scene from a racecourse which was knocked down at £4.5m at Christie’s. While the artist depicted football, rugby and cricket matches with some regularity in his work, racing subjects are much more unusual. A Northern Race Meeting focuses on the characters attending the event. The 2ft 6in x 3ft 4in (76cm x 1.02m) oil on canvas was painted in 1956 and was purchased by the vendor’s father in the same year. The price at the sale on November 19 was the joint third-highest price for a Lowry at auction. Christie’s also offered a lively sale of works previously in the collection of the Berkeley Square club Annabel’s last week, which posted a record £300,000 for Glyn Philpot when one of his final portraits of Henry Thomas drew strong interest against a £80,000- 120,000 estimate. Overall the sales at Christie’s, Sotheby’s and Bonhams generated a £47.2m total including premium, which was significantly up on the £25.6m from the equivalent series in 2017. Sotheby’s total included £3.29m from the Irish art collection of Brian P Burns. While the selling rate was a somewhat patchy 59%, among the works selling was Sir John Lavery’s Armistice Day, November 11th 1918, Grosvenor Place, London which was knocked down on low estimate at £200,000 but was acquired by the Imperial War Museum collection. Dealer and Fake or Fortune? presenter Philip Mould has rediscovered a portrait miniature of Charles Dickens. Mould reports that the miniature had been lost for 174 years and was recently found in South Africa. It was painted in late 1843, when Dickens was 31, by Margaret Gillies (1803–87) during the same weeks Dickens was writing A Christmas Carol. It was last seen in public in 1844 when exhibited at the Royal Academy of Arts in London. 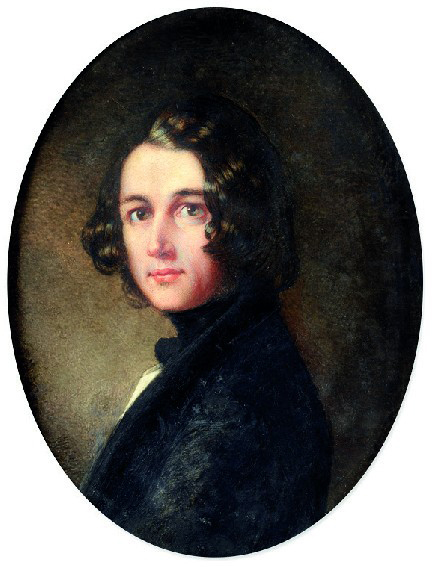 A portrait miniature of Charles Dickens which has been unveiled by dealer and Fake or Fortune? presenter Philip Mould. It is not known how the portrait came to be in South Africa, but research by Philip Mould & Company strongly suggests that it arrived via one of two sons of George Henry Lewes (partner to George Eliot), both of whom emigrated there in the 1860s. Gillies and Dickens were close to the Lewes family and Gillies’ adopted daughter was married to another of Lewes’ sons. The portrait was found at a general sale in a tray of trinkets for the equivalent of £27. Suspecting the portrait might be of note, its purchaser contacted Mould’s firm. The intention is that the portrait becomes part of the permanent col lect ion of the Charles Dickens Museum in London, which is launching a fundraising campaign to buy it. The miniature will be on view at Philip Mould & Company’s gallery on Pall Mall until January 25, 2019. The fingerprints of Old Master artist Rembrandt van Rijn have been found on a 17th century oil sketch by auction house Sotheby’s. They were on Study of the head and clasped hands of a young man as Christ in prayer, a little-known work that will be offered at Sotheby’s Old Masters evening sale on December 5 with an estimate of £6m-8m. The prints were in an original layer of paint in the lower edge of the sketch. Pressed into wet paint, the prints, which Sotheby’s has said are “most certainly impressions of the artist’s thumb” were hidden underneath overpaint and darkened varnish layers. Francis Outred, Christie’s chairman and head of post-war and contemporary art in Europe, is leaving the auction world after 20 years to take a break and pursue a new career away from Christie’s. He joined Christie’s in January 2009 and was promoted to his current role in 2014. The UK government has issued an export bar for Nainsukh of Guler’s (1710-78) Trumpeters, valued at £550,000. Following an application for an export licence by its owner, the Department for Digital, Culture, Media and Sport (DCMS) announced it should be temporarily blocked from leaving the country in the hope a buyer can be found to pay the £550,000 price and keep it in the UK. Nainsukh of Guler’s 'Trumpeters' is subject to a temporary export bar. Trumpeters shows seven village musicians playing the long Pahari horns called Turhi, in the hills of northern India. The miniature is an example of the colour and light of India which inspired its first owner, renowned artist Winifred Nicholson (1893-1981). The decision on the application will be deferred until February 2019 and could be extended until May 15, 2019, if a serious intention to raise funds to purchase it is made. The number of small, independent businesses that have joined the new King’s Road Curve group, including art galleries AntikBar, Signet Contemporary Art and Tanya Baxter Contemporary. It holds a series of late-night Thursday shopping events from November 29-December 30. 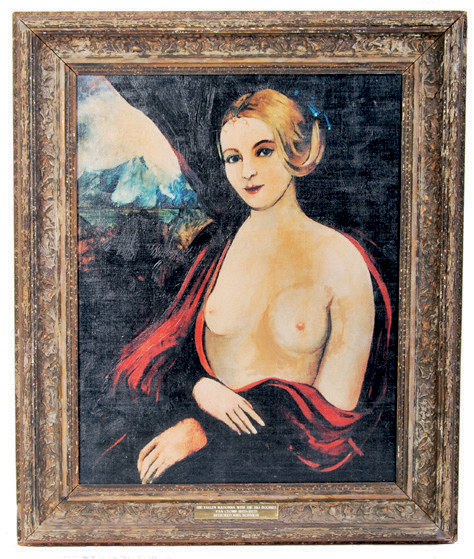 The ‘Allo ‘Allo ‘Old Master’ on offer at East Bristol Auctions.